BAIT’s Black Friday Weekend sale begins today and and runs through Monday, December 1! Take 30% off most items (some exclusions apply) and 50% off all BAIT gear. 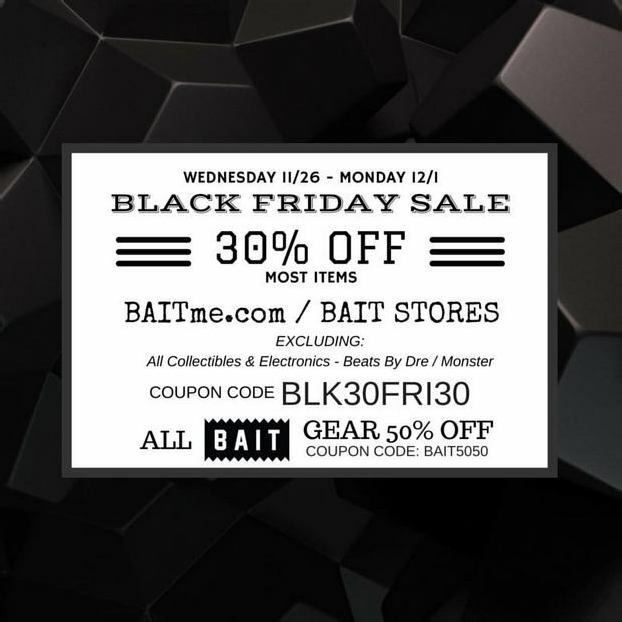 The sale applies both in-store at all four locations and online at BAITme.com by using the coupon code BLK30FRI30 at checkout. Exclusions: collectibles, electronics – Beats By Dre/Monster, and some limited shoe releases.